Personalize your Microsoft Xbox One console or controller with industry-leading decal skins made by Skinit. 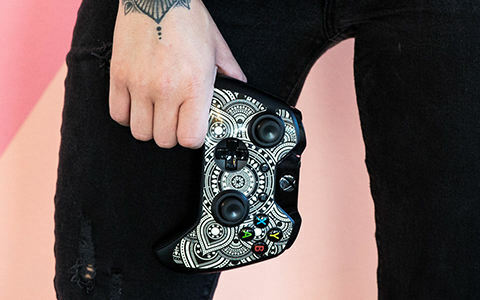 From professional sport teams to limited edition comic designs, find a Xbox One Skin that shows off your gaming style. Choose your Xbox One device and shop all decal skins.